The arrested “people’s governor” of Donetsk, Pavel Gubarev, has gone on a hunger strike against Kiev’s crackdown on protesters in Slavyansk, eastern Ukraine, while Russia and the Red Cross demand access to the “political prisoner” who might be ill.
Konstantin Dolgov, the Russian Foreign Ministry’s commissioner for human rights, in his Twitter said that Gubarev's health “causes concern." "The OSCE and the Red Cross must ensure humanitarian access to Pavel Gubarev. His condition causes concern. He seems to have been tortured,” Dolgov wrote. 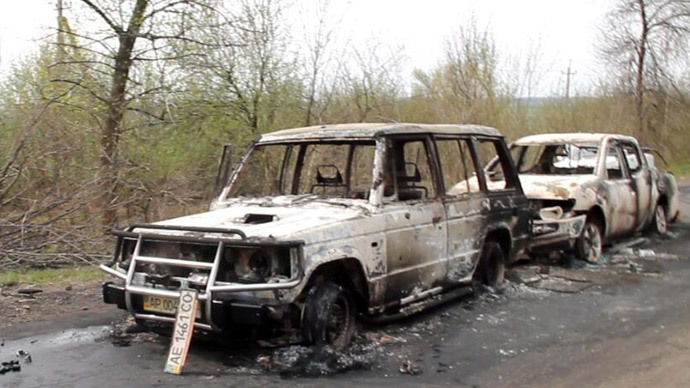 Gubarev’s lawyer, Aleksandr Groshinsky, added that the move follows the “shooting of civilians” in eastern Ukraine. “This way, he wants to demonstrate that he is with those who are fighting for their civil rights and civil position,” the lawyer told Russian News Service. 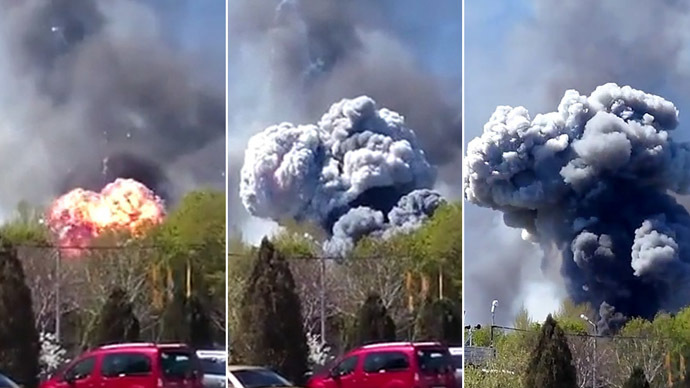 Last week, Kiev launched what it called an “anti-terrorist” operation against protesters demanding Ukraine’s federalization in the town of Slavyansk, in the Donetsk region. 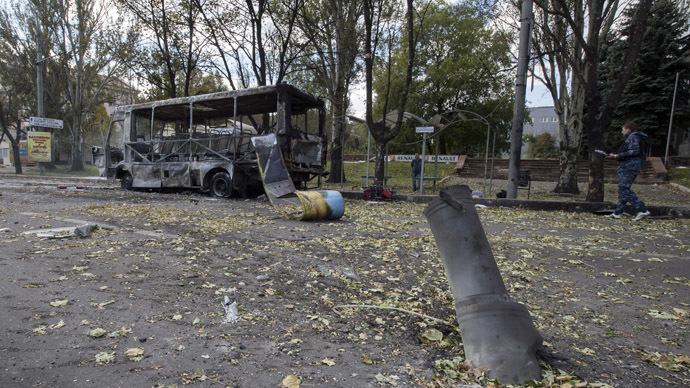 According to the Ukrainian Interior Ministry, up to five so-called “terrorists” were “eliminated” Thursday during clashes between the troops and local self-defense squads, while three protesters’ checkpoints were destroyed. 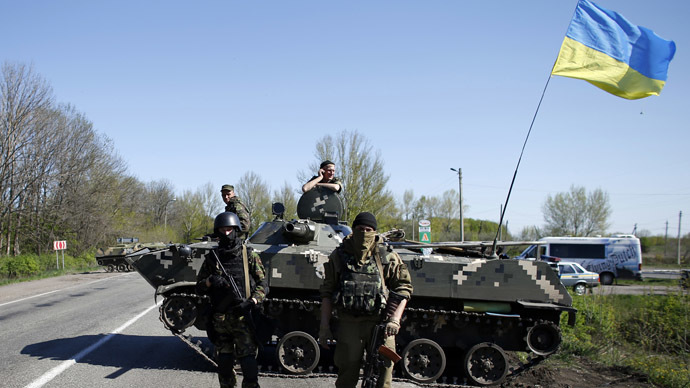 On Friday, the operation entered its second stage, which the goal to “completely isolate” the anti-government stronghold, Slavyansk. On Sunday, three anti-government protesters were reportedly killed in a gunfight with attackers believed to be Right Sector paramilitary. “When Pavel learned that on Easter the Right Sector shot our militia men at the checkpoint, he voiced his discontent,” Gubarev’s wife said. In early March, Gubarev was detained by Ukraine’s Security Service, the SBU, during a media conference in Donetsk and then moved to a detention center in the capital, Kiev. He is facing charges of “separatism”, “organizing mass disorder” and “infringing Ukrainian territorial integrity,” his wife said. 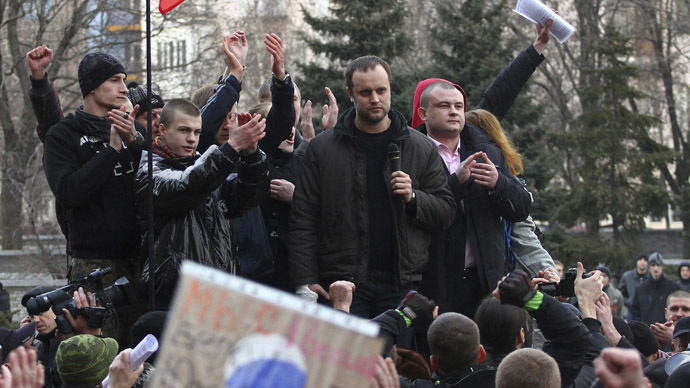 However, many protesters consider the case against Gubarev purely political. According to Ekaterina Gubareva, there are doubts that witnesses who supposedly testified in the case even exist. She said that her husband’s lawyers have repeatedly demanded a face-to-face interrogation, but so far have not seen any witnesses. On March 7, a court in Kiev detained Gubarev for two months. Judges are to consider the prolongation of his detention on May 7, Gubarev’s lawyer Elena Pryadko told RBK-Ukraine. “Our lawyers state that there is no necessity for the extension of this arrest. The reason why [law enforcers] seek to extend it is as inflated as the very case [against Gubarev],” his wife said. The activist’s wife said that not only her spouse faces constant moral pressure, he is also having health problems. The April 17 Geneva agreement between Kiev, Russia and the West aimed to resolve Ukrainian political crisis urged a release of all political prisoners. Moscow is concerned about the fate of political prisoners in Ukraine, “who are arrested and thrown into prison bust because they participated in political actions,” Russian Foreign Minister Sergey Lavrov said in a statement Thursday, commenting on Gubarev’s situation. Russia would file an official application to the Organization for Security and Cooperation in Europe (OSCE) asking the body to seek “immediate access” to Gubarev, he said, adding that a similar document was also sent to the Red Cross. “He has never taken part in the seizure of administrative buildings, never carried arms. He simply spoke at a meeting and said that he was ready to work in interests of reforms and would speak up for a referendum on the federalization of Ukraine,” Lavrov said Friday. On April 25, Lavrov was going to discuss the fate of the Ukrainian political prisoner with his American counterpart, Secretary of State John Kerry. “Yesterday we received information that Pavel Gubarev is seriously ill, and that he has been beaten and tortured,” the Russian minister said. Meanwhile, the Red Cross has filed a request to Ukrainian authorities to allow them a visit to Gubarev, a press secretary for the international organization told Itar-Tass.